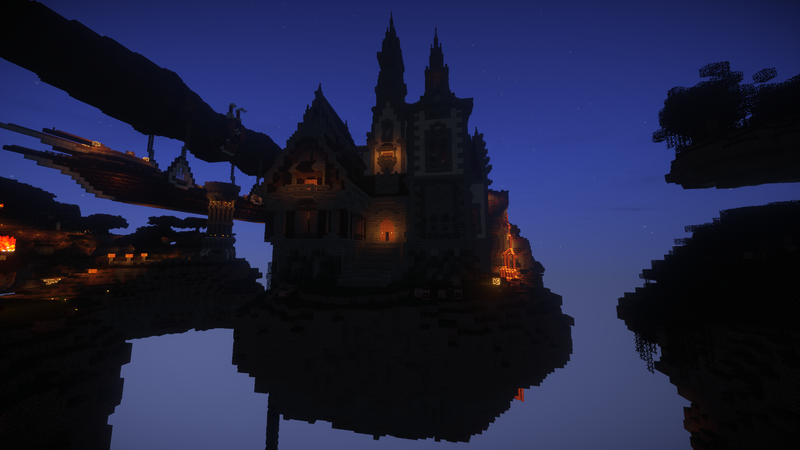 If you didn't notice already, Cubeviille's Halloween Island was opened on Halloween night! This event will run throughout the month of November, and has got a ton of things to do, points to earn, and prizes to buy with them. Prizes will be released for purchase with your Halloween candy points from the CVC amphitheater later this month! Carnival - Grab some pumpkins just outside Halloween spawn to trade for tickets at the carnival ticket booth to enjoy these attractions. 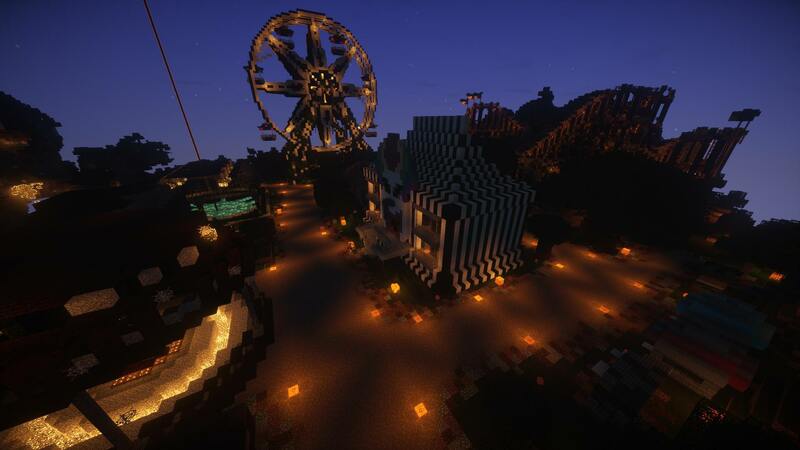 The carnival includes a ferris wheel, bumper boats, potion shop, massive roller coaster, archery game, carousel, fun house, and food stands that give little quests. You can trick or treat at the game NPCs here! 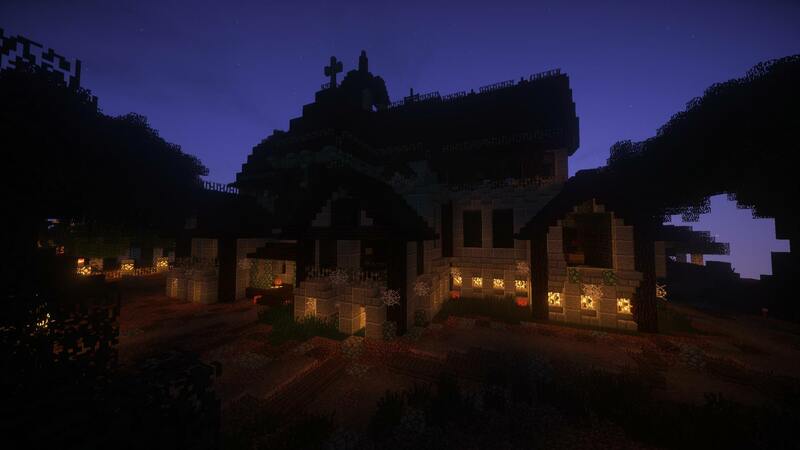 Haunted House - This build has got a spooktastic haunted house to tour on the upper floors, and a dungeon puzzle downstairs. 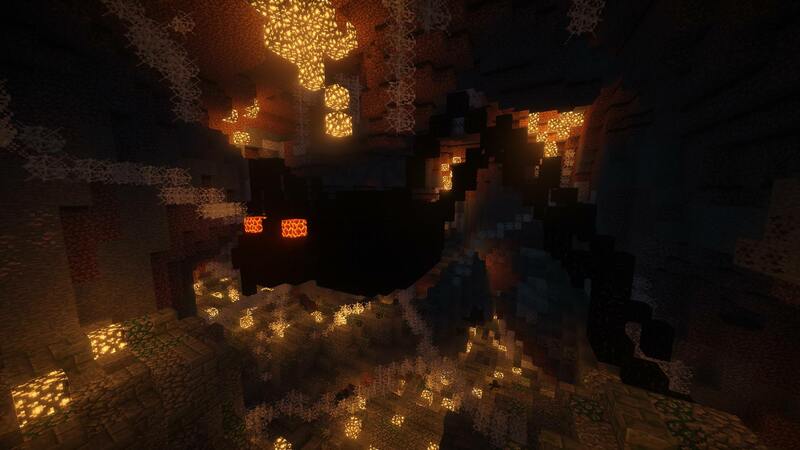 Follow one clue to the next and search for hidden levers and passages to make it to the end of the dungeon. Airship Maze - Avoid fires and pitfalls to help the Captain find his way to the back of the ship! 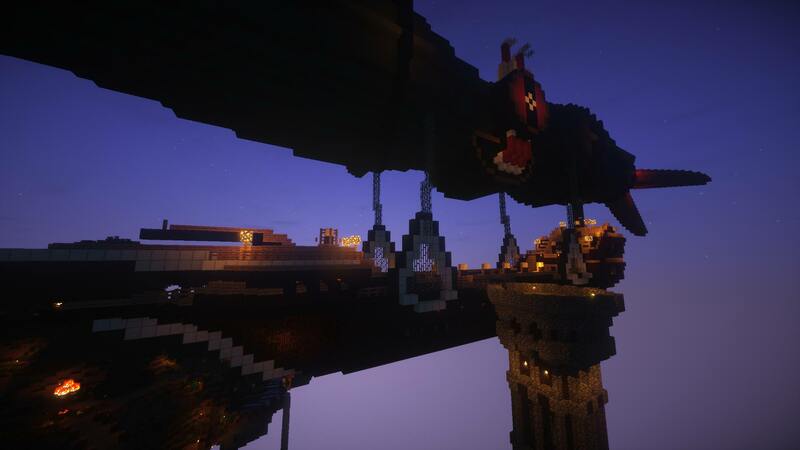 PvP Arena - Enter our Halloween themed PvP arena to do costumed battle with your friends. Fight other players with fun sound effects and magic wands while trying to avoid or take down other respawning mobs patrolling the grounds and builds. Find the Button - See if you can find all the hidden buttons in this fantastic mansion, some are not too hard to find, others are very tricky! Spider Crawl - Gear up and fight your way past overpowered cave spiders through their nest, find hidden chests with health potions to help you on your way, and live to tell the tale. Spooky Boat Ride - Enjoy this fun, haunted trip down the river with special particle and sound effects and scary mobs. Pumpkin Maze - A hhuuggeee pumpkin filled with twists, turns, and warps. Can you find all the staff shrines? There are tons of candy points to be earned in this maze - if you can do it! Fortune Teller - Pay a ticket to glimpse the future! Zombie Attack - This challenge will be opening soon, so watch out for an announcement in this thread. Costumes and Toys - Just next to Halloween spawn you'll find some vendor stands where you can get costumes and toys to wear and play with while on Halloween Island. These items are free, and you can come back for more whenever you want. 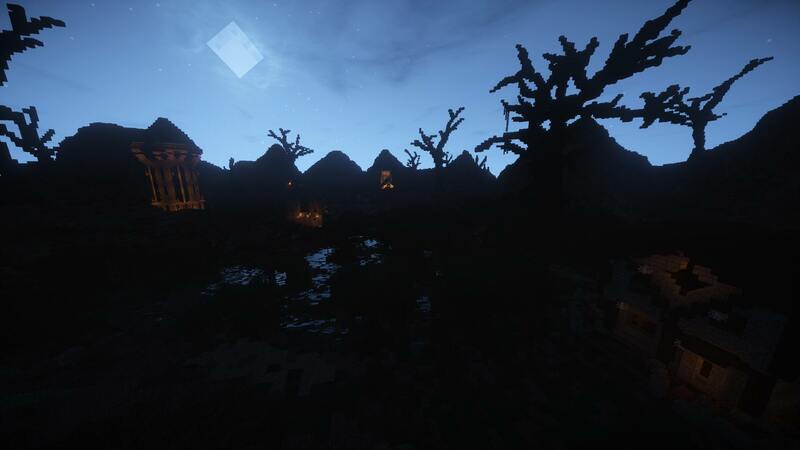 They can't be brought back to the survival world, so enjoy them while you explore the island and play the games. Hope everyone is enjoying the Halloween event this year! 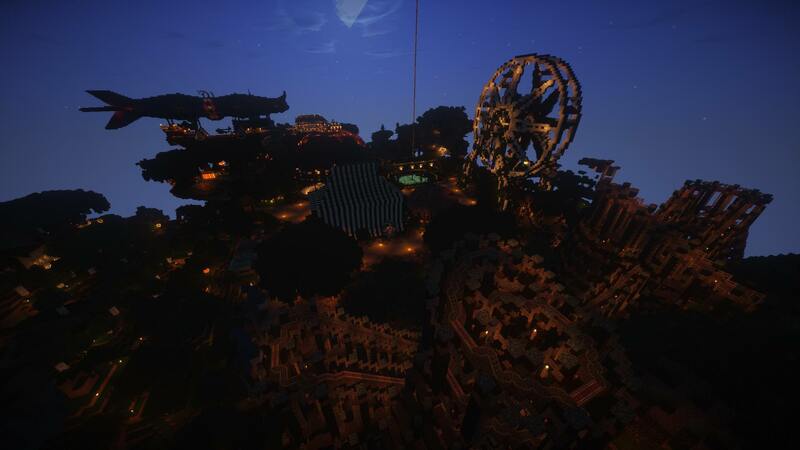 Recognize some of these builds and think you may have mastered them in the past? Think again. We've brought back some favourites, but they've been updated and redone for a whole new experience. Happy Halloween! Zombie Attack is now open! Head to Halloween island and follow the signs to Zombie Attack. 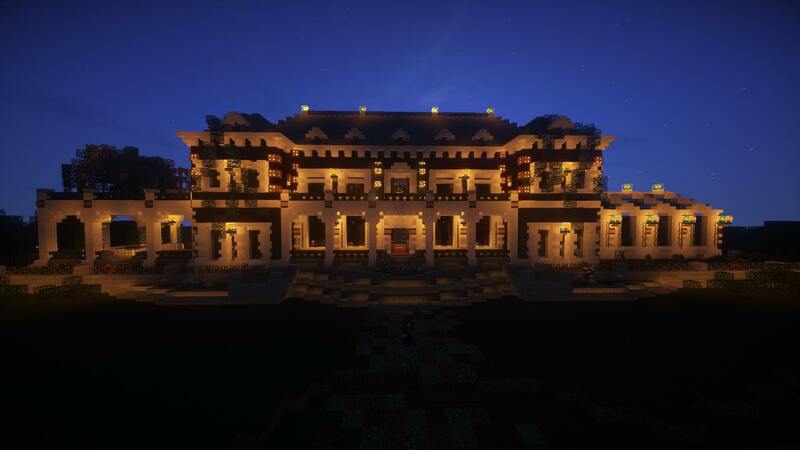 Speak to Riff Raff who can send you over to the mansion to test your survival skills. Note: only one player can play at a time. If Riff Raff tells you someone is already in there, try later.